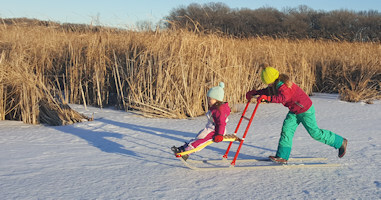 Prairie Woods maintains approximately 10km of trails over rolling glacial terrain, through woods, and prairies, near ponds and wetlands. The trail network covers much of PWELC's 500 acres. *Trails are open for walking and hiking during daylight hours Spring, Summer & Fall. 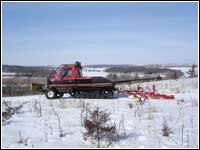 *Trails are groomed for cross-country skiing during the winter. 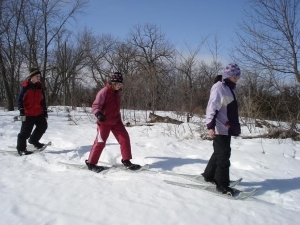 *Please do not walk or snowshoe on groomed xc ski trails. 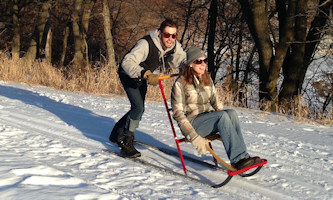 Dogs are not allowed on groomed ski trails. Dogs must be in close control of their handlers and kept on a leash. Dogs are not allowed n buildings, with exception of service dogs. 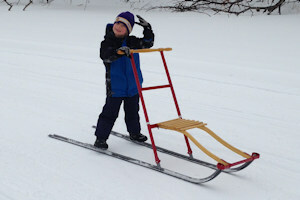 Note: These hours apply when snow conditions on trails accommodate skiing. on a pre-arranged reservation basis when the trailhead is not open. Saturdays, 10 pm to 5 pm. Sundays, 12 pm to 5 pm. typically 8:30 am to 4 pm. Please call ahead to confirm staff will be onsite. Damage deposit for off-site use: $30, fully refundable with equipment return. 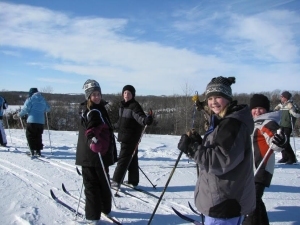 Other groomed trails within 10-15 minutes of Prairie Woods include Sibley State Park to the north and Robbins Island and Swan Lake Trails to the south in Willmar.